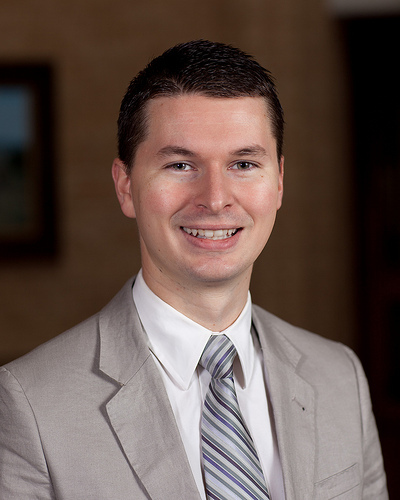 Today’s blogger is Ryan A. Miller, Ph.D., Director, Office for Inclusion and Equity at The University of Texas at Austin. He writes here to describe research published in an article in the current special issue of The Educational Forum on Sexuality, Gender, Identity, and Education. Before you take attendance, a student shares with you that she is transgender, and that the name and gender marker on your roster incorrectly identifies her as male. A student without a disability complains about the “unfairness” of not receiving the accommodations that a student with a disability receives. Perhaps you are already familiar with one or more of these situations. For a student with a disability, or a student who identifies as lesbian, gay, bisexual, transgender, or queer (LGBTQ), these scenarios can be fraught with challenges. For students who live at the intersections of these identities, these potential difficulties can be amplified, and students will rely on their instructors to set the tone for an inclusive classroom climate. My article in The Educational Forum chronicles the university classroom experiences of 25 LGBTQ students with disabilities and reveals that students carefully considered whether and how to disclose their identities to peers and instructors, become vocal advocates in class, and react to microaggressions they experienced. In many cases, an instructor made a difference—either positively (by setting a tone of inclusion, introducing diverse curricular materials, and intervening when bias occurred) or negatively (by questioning a student’s identity, refusing to provide disability-related accommodations, or permitting biased language). Educators at all levels wield a significant amount of influence on the experience of students in their classrooms. Students who experience a hostile school climate, or derision from peers and other teachers, may find in you and your classroom a space in which they become a bit more comfortable with themselves, who they are, and who they will become. Given this influence, it becomes essential that educators understand how they can create and maintain a classroom climate that intentionally engages social justice issues, including but not limited to disability, gender identity, and sexual orientation. Reflect on your own formative experience and possible biases related to disability, gender, and sexuality—and how these biases may inform your teaching. Learn about current terminology and concepts in disability and LGBTQ communities. Be open to learning new language. Signal to students on day one that your classroom is an inclusive one by discussing relevant campus/classroom policies and including them in a syllabus or posted document. Include representations of diverse identities in curricular and classroom materials, and acknowledge the many contributions of underrepresented groups. Incorporate universal design concepts in your classes by varying your instructional materials and forms of student assessment to allow for the use of different strengths and skillsets. Encourage the engagement of all students with diversity, rather than relying upon one or two students to educate the rest of the class or use their personal experiences as teaching moments. Intervene when biased language or discrimination occurs in your classroom. Strategize with colleagues on how to create a more inclusive classroom and campus climate. KDP is proud to partner with Routledge to share Dr. Miller’s article free with the education community through November 30, 2015. Read the full article here. It’s time to set up your classroom for the school year, so let’s start with some show and tell. We want to see what your space looks like and hear why or how you set it up the way you did. It could win you a $150 grant for your classroom! For some of you, this is your first time designing your own teaching space. For others, you’ve had years to perfect your classroom set up. What decisions did you make to set up you classroom? Is there something new you are trying out, or a proven practice that you have developed over the years? Post it with #KDPMyClass! 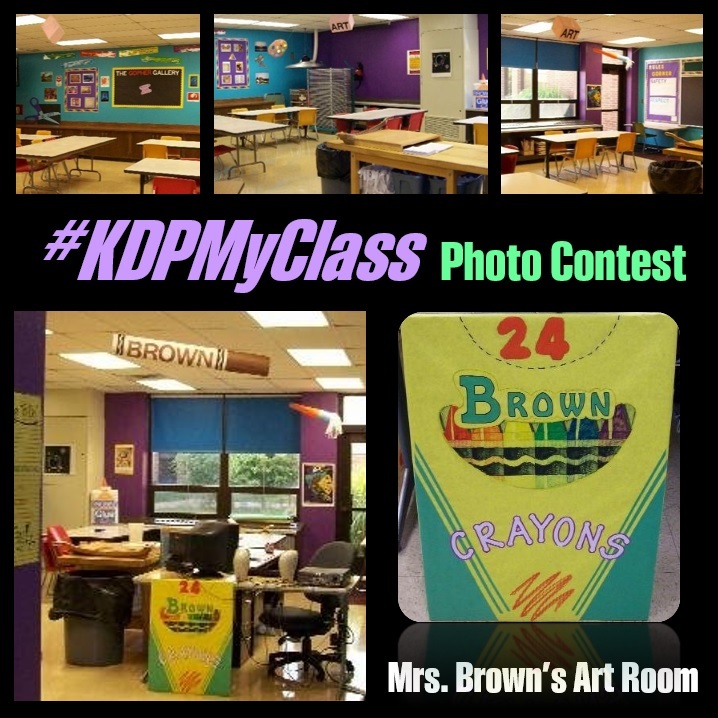 Before the kids fill the seats, snap a picture of your room and tag it with #KDPMyClass on any social media and email your submission to marketing@kdp.org. In your email tell us all the important features you included in your classroom design. We’ll pick a random classroom from the submissions in August and award a $150 classroom grant! 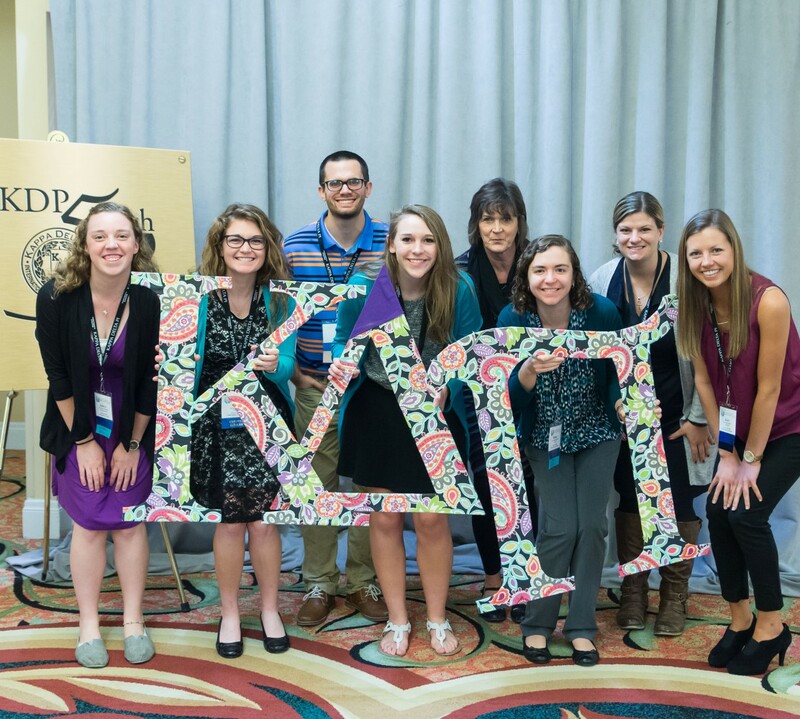 We’ll be watching facebook, Twitter, Instagram and Pinterest for your #KDPMyClass photos and reposting them on facebook until Labor Day. Want more chances at a $150 grant? The KDP Classroom Teacher Grant program opens August 1, watch kdp.org for information on how to apply! Holly Richardson is an initiate of Alpha Omicron Chapter at Franklin College, a current seventh-grade teacher in Indiana, and has been teaching for eight years. While I’ve always prided myself on being clear-headed, when it comes to having classroom materials in order, I can go a little off my rocker. Like most teachers I know, I have purchased many of the supplies in my classroom. School supplies have always made me happy; I think most teachers are that way. Being excited about a new stack of freshly sharpened #2 pencils is normal, right? Different colored Post-it® flags signifying different forms, benchmark tests, and data reports would make anyone’s heart skip a beat. So when MY things are in the WRONG place, I am none too happy. But it’s not always the teenagers who have misplaced something of mine—sometimes, it’s me . . .
Too often I have come back into my classroom after a long meeting or unforeseen absence and not been able to find something. Something I know I did not throw away. Something important. Something I NEED. And I know, deep down, that I am the one who put it wherever it happens to be. I have realized over the past 8 years that teaching English to middle school students requires a high level of organization. Nothing says “What was I thinking?” like eight piles of rough drafts, peer editing papers, and final copies. Ever spent a weekend reading 120 research reports and then trying to figure out which no-name peer editing paper belongs to which student? Organization, however, has always meant more to me than merely knowing where things are placed—it’s also about establishing and maintaining a routine. If I can’t find the testing schedule or the extra permission slips, I’m sure it’s in an email somewhere. Having the students know my expectations inside and out and being able to trust that I can walk in late and know that my students will be in the right place because they have learned to follow a routine are more important to me than any well-organized desk or filing cabinet. I’ve seen the color-coded sub binders on Pinterest, and they certainly are impressive, but I would much rather spend my time refining my classroom management techniques than making something like that. For the past 2 years, I have been the Title I teacher. Some days, the amount of paperwork nearly blows my mind, but even at the height of my despair, when the bell rings and my prep is over and I’m nowhere close to being done looking at test data, I know that my established routines will save me. My students know exactly what to do. We’ve practiced the classroom routines and they know my expectations. They pick up their books and folders. If it’s a Tuesday or a Friday they go straight to their second rotation, and I love that they do these things without any prompting. I cannot imagine working in a classroom without specific routines. Surprisingly enough, students love the routine as well! They get a little angry when the schedule has to be changed. It’s not boring to them; routine is comforting! My advice would be to organize your students instead of your paperclips. Spend more time on procedures and expectations than color-coding. Yes, it is nice to know where everything is, and one day I hope to find all those missing papers. Maybe I’ll even give in to the color-coded binder, but until then, at least I’ll know that my students are where they should be, doing what they know is expected. 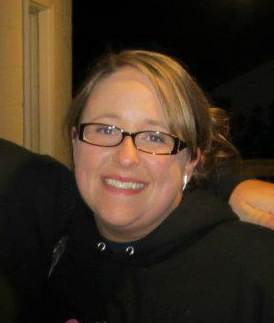 Carrie Gaffney is the managing editor of The Educational Forum. She spent 12 years as a secondary English teacher and is still active in The National Writing Project and Second Story, an Indianapolis-based nonprofit devoted to bringing creativity to underserved schools. During my years in the classroom, I spent a lot of time and energy pushing back against the expectation that I fill my classes teaching the Western Canon. I know, I know. Harold Bloom said these were the works our children needed to read to be educated citizens. And yes, a lot of what’s included in the Canon is terrific. You see, as Bloom wrote it in 1994, the Canon included an embarrassingly low number of writers who were either women or people of color. Don’t get me wrong, Don DeLillo is great. But why does he get four books on the list, while Margaret Atwood gets only one and Alice Walker gets zero? Moreover, with so few female authors on the list, the number of complex female characters also suffers. It’s not that male writers can’t create believable females, but still…why do Canon readers trip over characters in eight Thomas Hardy books only to find Sylvia Plath’s semi-autobiographical Esther Greenwood not represented at all? It wasn’t fair when the book published in 1994, and it isn’t fair today, when sadly, our district reading lists still read like it’s 1950. But that’s changing slowly, thanks to trailblazers like Veronica Roth and Suzanne Collins. Because of them—and women like them—there’s a new generation of powerful female characters for girls to enjoy, and sometimes they even get to do it during class time. While you won’t find the Hunger Games trilogy on my home state of Indiana’s suggested reading list for schools, teachers everywhere are beginning to understand that strong characters, and the women who create them, make the world a more interesting place. As educators, we have the responsibility to provide our students opportunities to read about all types of people, written from the perspectives of all types of people. Tell me, as March passes and we reflect on Women’s History Month, how are we doing? I volunteer in a first grade classroom at a local elementary school. This week the students are learning about measuring time in months and hours and are learning to spell “ai” words. Their teacher is giving them a wonderful start in their academic career. Nevertheless, I worry that the education they will receive in their remaining 11 years in school may not prepare them for the future. The next generation will be larger, yet there will be fewer natural resources (e.g., timber, unpolluted fresh water, and fish stocks). Both citizens and leaders will face huge environmental, social, and economic challenges. When I went to school, the education of the day prepared me to be successful in the current society. Repeating that type of education would do the students of today a disservice. The pace of change is accelerating. The direction of that change is both awesome (e.g., changes in communication technology blending computers and telephones) and frightening (e.g., degradation of the majority of Earth’s eco-systems and a growing gap between the “haves” and the ‘have nots”). With globalization and climate change the problems that were once geographically distant are arriving on our doorsteps. To deal with the problems of tomorrow students of today will need to learn to deal with complexity, work collaboratively across disciplines, and make decisions in an uncertain environment. 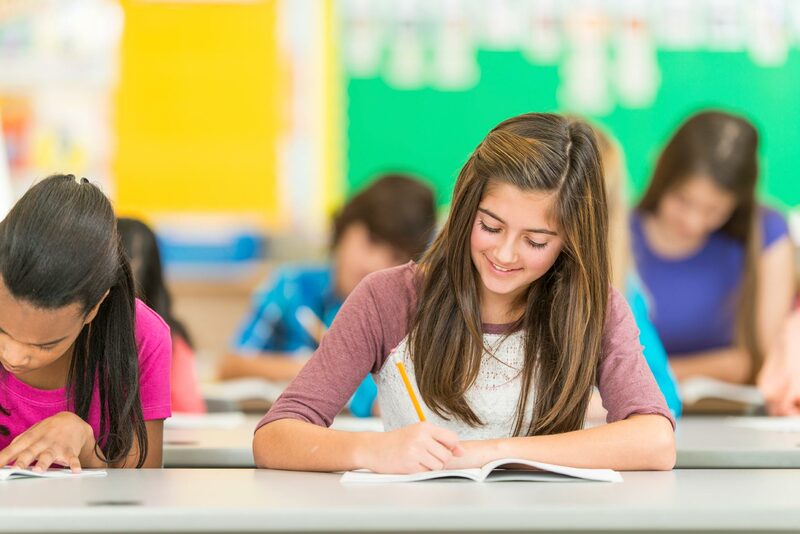 There are a number of educational initiatives that attempt to address the questions associated with what type of education should we provide to students of today to prepare them for the workforce and civic participation (e.g., Partnership for 21st Century Skills and EdSteps Global Competencies). Such initiatives seem to fall short, in part because they do not identify the purpose of primary and secondary education. While the vast majority of school districts wrestle with providing a quality education for students—which is admirable—often the purpose of that education goes undefined. Is the purpose still to create a workforce that will keep the U.S. economically competitive as mentioned in A Nation at Risk in 1983? Educating for economic competitiveness created a few short-term winners and lots of losers. In the long run every country is currently paying or will pay the price of ecological deterioration, social inequity, and economic instability inside their borders or in a neighboring country or trading partner. Could the purpose of education become safeguarding the well being of the students now and in the future which would entail working toward the common good, global stability, and a brighter more sustainable tomorrow? Some states and provinces (State of Washington and the Province of Manitoba of Canada) as well as countries (Finland and India) have included sustainability as a major curricular theme. Education for sustainable development (ESD) has become an overarching paradigm for educational discourse outside of the USA as a result of the United Nations Decade of Education for Sustainable Development 2005 – 2014. As I look at the first graders and think about their collective future, I am of the opinion that the formal education community in the U.S. should engage in exploring the ESD paradigm. In the wake of the Sandy Hook Elementary School tragedy, schools have increased (or continued) their focus on school safety and preparation. See this recent post [blogs.edweek.org] What recent or additional steps has your school (or district) taken regarding school safety? How have you involved parents/ guardians and community members in this process? William L. Sterrett is an assistant professor and CIS coordinator in the Watson College of Education at the University of North Carolina, Wilmington.